Kendall Yards moving right along. Spokane and Coeur d' Alene are very car driven areas but our area is slowly changing those habits with a large network of trails and 2 city bus systems which are reporting higher and higher rider counts.And while I personally view light rail throughout the Spokane Coeur d Alene metro area as an answer for the long term,many including the tightly budgeted,Spokane Transit do not seem to see it that way.But they are taking a step in the right direction with a perposal to put in a system of streetcars thru Downtown Spokane,which would help improve pedestrian flow thru Downtown.STA right now operates a shuttle route (STA route number 1) thru the downtown core and the Arena area and the medical shuttle(route number 2) thru south Downtown and the lower South Hill neighborhood which is home to both Deconess Medical Center and Sacred Heart Medical Center as well many medical office buildings.So while STA does serve Downtown well from a personal stand point these streetcars will be a great addition. The bad news is that while STA is looking into this now they don't expect it to go to a public vote till 2013. I drive thru the area around North Idaho College often and have been watching the process being made on the education corridor and must say it's nice to see something coming of the large former mill site north of NIC .The construction is frustrating at times but once completed the new access points to NIC,U of I and LCSC as well as any new buildings which I havn't heard much on yet with what will be built where,I'm sure it will be a great addition to the Coeur d Alene and North Idaho community.I hope to get some pictures posted on here soon so those of you who don't get down there very often can see it. Casper Fry Public House is going to go into the building where the Altamont Pharmacy once was on Perry Ave. in Spokane,The owners are the same people who own Madeline's cafe in Downtown Spokane near River Park Square Mall.The other half of the building is also a new business which is a clothing chain store called,Title Nine. The Bee Hive is honey store that is now open in Hayden right along Hwy. 95 near the intersection with Hayden Ave. they sell honey and honey products and I believe most if not all is local honey. Seen people in and lights on in the vacant unit next to Gamestop in the Ironwood Crossing strip mall in Coeur d Alene,will keep my eyes on this. The Walk Shoppe which is a shoe and footwear store has opened at 37th and Grand on the South Hill inside of the Grand Corner Professional Building. The Golfmen, who have developed a new kind of golf tee called the Turbo Tee have moved into 4,000 sq feet of space within the Spokane Industrial Park. Speaking of the Spokane Industrial Park,American Tire are leasing 110,000 square feet in the park at 15530 E. Euclid Ave for a tire distribution center,I'm not sure on numbers but i'm sure they will be hiring people in the near future. Devlopment company,Hanson Corp. is building a 2 unit strip mall on Indiana Ave inbetween Marketplace I shopping center and Spokane Valley Mall. I'm not sure who will be the tenant in one unit but Verizon will have a corporate store in the one side. Enjoying rapid growth in the Spokane market is Five Guys Burgers and Fries,the plan on opening a 3rd outlet already(The first one opened in 2010) and it will be located at 9502 N. Newport Hwy which is near Northpointe Shopping Center,They will open this fall and employ between 30 to 40 employees. Chase Bank is building a branch in the Indian Trail neighborhood of Spokane at Sundance Plaza Shopping Center. I have for sometime thought the Kalispell Tribe of Indians planned some sort of commerical project on it's vacant land along Hayford Rd. just south of their Northern Quest Casino in Airway Heights and now I have more reason to think that may be in the future as the tribe is planning now to move Sprague Ave. south instead of right next to the hotel and the old portion will be vacated,They will also build a new road coming off of Sprague called Quest Dr. and build a second road that ends in a cul de sac over farther west by where Sprague will curve south.They say this is to accomodate "future development" on the property. Camp Suburu has purchased the giant Empire Ford building on 3rd in downtown Spokane and will move it's dealership there which is great since the building has been vacant for some time. Maps and More in Sandpoint is moving from their current store on Main Ave to one directly on 1st Ave(Sandpoint's actual main road).The new store will be right next to the Cedar St. Bridge shopping center's front doors and should help their company.They are hoping to open Oct 20th at the new site. I noticed today the for lease signs have been taken down on the former Dollar Rent A Car/Vespa site on Northwest Blvd in Coeur d Alene and a banner sign is up saying Green Light Motors .No cars are on the lot yet but I would assume their will be soon. Picture Peddler has opened it's furniture store at 40212 N. Newport Hwy near Spokane,They also plan to open a seasonal artwork store inside Northtown Mall. Columbia Tractor has taken over space that was Bonanza Ford along I-90 in the little suburb of Four Lakes. I don't know much about it but while looking over the City of Spokane's recent business licences I noticed Video Only which is an electronics retailer in Western Washington and the Portland area has applied for the site that was Circuit City in North Spokane along Division St.
Lotus Crossfit is a new fitness center that went into the strip mall by Home Depot near Hwy. 95 and Kathleen in Coeur d Alene. This mall also got a new tenant recently with Accent Floors which was at one time over on Government Way near Appleway till the strip mall there burnt down a time back,I have noticed they have started construction back up on that mall but have no idea if there are any tenants or when it will be done. Best Bikes n Boards is open in the former site of Coeur d Alene Discount on Northwest Blvd. in the same building as Olinger Marine and across from Northwest Place office building. The people behind Post Falls company,Ground Force are already starting to work across the street from their factory on Seltice Way in between Post Falls and Coeur d Alene for a sister company called Underground Force .The company which will employ around 20 to start but they hope to have as much as 50 by the end of 2012. Spokane Fire Dept. is building a new Fire Station on Spotted Rd near Airport Dr. .The project is a must because the City of Spokane is annexing nearly 10 square miles of land on the West Plains including the Spokane International Airport which is also close to the new fire station site. Speaking of Fire Dept's,Kootenai County Fire and Rescue had an open house/dedication back on the 11th for their new training center on Seltice Way next to the National Guard Armory,The site is also home to the departments HQ but that will move soon to a site farther in town which was occupied by Coldwell Banker until they consolidated into one office in Coeur d Alene,that site is at Seltice Way at Bay St. The William P. & Bonnie V. Robinson Science Hall on the campus of Whitworth University will have it's grand opening on Oct. 8th.The building has been under construction since 2009. Sept 26th- There was plenty of reason to celebrate at Second Avenue and Browne Street last week. For the past two years, traffic on Second Avenue has been hampered by reconstruction work – as has business for merchants along the street. Last week, the work on Second from Division to Howard streets was finished. The new blacktop is smooth, and the white and yellow lines are fresh and easy to see. Now business owners are waiting for customers to return. “I think people are still kind of wary of downtown,” said Melody Padrta, who co-owns the Marketplace Wine Bar at Second and Browne. “There are a lot of people who don’t know we are here,” she said. The business shares space in a 21,000-square-foot building with the fledgling Spokane Public Market and Sun People Dry Goods Co., which sells sustainable and organic products. Mayor Mary Verner was scheduled to attend the market’s grand opening Saturday, partly to mark the completion of $4 million in work on Second Avenue that started in spring of 2010. Verner said in a news release last week she understood the hardship on Second Avenue businesses. “We are pleased to join with the businesses along Second Avenue in welcoming citizens to a renovated street that will serve our community well into the future,” the mayor said. Funding for the street reconstruction came from a bond issue approved by voters in 2004. Other bond projects completed this year include Hatch Road from 57th Avenue and Perry Street to 43rd Avenue; Grand Boulevard from 29th Avenue to High Drive; Post Street from Maxwell to Cleveland avenues; and Mission Avenue from Hamilton to Greene streets. Srm development's Riverstone project in Coeur d Alene seems to be coming back to life ever so slowly.While the main core project,The lifestyle center mall,still sits mostly empty waiting for stores which i'm sure will come but not for a little while more, This time it's other parts like the area called Riverstone West.The most visible is the development is a 50 unit apartment complex directly on the Prarie Trail and by the Spokane River,the apartments are named The Riverstone West Family Apartments and are going up on John Loop and being built by Whitewater Creek and Hayden based company that has built several other similar apartment buildings in the Inland Northwest.Also I have noticed dirt being moved on the site that is owned by Baker Construction but will be used a district office for the FBI.Also Citylink the tribal owned city bus service that runs thru most of Kootenai County I hear will build a permanent office and replace it's existing dirt park and ride facility with a more permanent one which will be welcome and Advanced Dermatology and Skin Care is building a new office next to Riverstone Park farther in to the development and a company just called Riverstone Holding is in the works of building a 6,000 sq. foot office building with a perspective tenant already in mind,this will be right next to Advanced's building and Pinkerington Retirement Investments has plans for a 10,000 office building also over on John Loop. This should be a good area to watch over the next few months. Fire crews are to be on the scene all night tonight so little will be known of the damage extent till tomorrow but we can only assume both will be closed for some time. POST FALLS, ID, September 23, 2011 /24-7PressRelease/ -- Armed with a refreshed menu and new prototype design, Tampa-based Beef 'O' Brady's, the 213-unit franchise of family sports pubs & restaurants best known for great food and the ties it builds with its communities, has identified Post Falls as a key component to the company's growth strategy in Idaho. Demographic research, brand recognition within the state and other factors make Post Falls an ideal market for further expansion of the franchised restaurant concept. While the demand for family-friendly eateries continues to grow throughout Post Falls, providers are limited. "While there's definitely a market for Beef 'O' Brady's in the Post Falls area, we're taking a careful approach to finding a franchise partner with business savvy, tenacity and a readiness to reinvest in the communities they serve," said James Walker, Chief Development Officer of Beef 'O' Brady's. "To ensure a long, happy partnership, we ensure that our franchise partners meet stringent criteria and share our values." Beef 'O' Brady's is well-received in the markets it enters because of the food, atmosphere and dedication to community outreach. Since the company's inception, each Beef 'O' Brady's has committed itself to strengthening local ties through philanthropic partnerships and volunteerism. 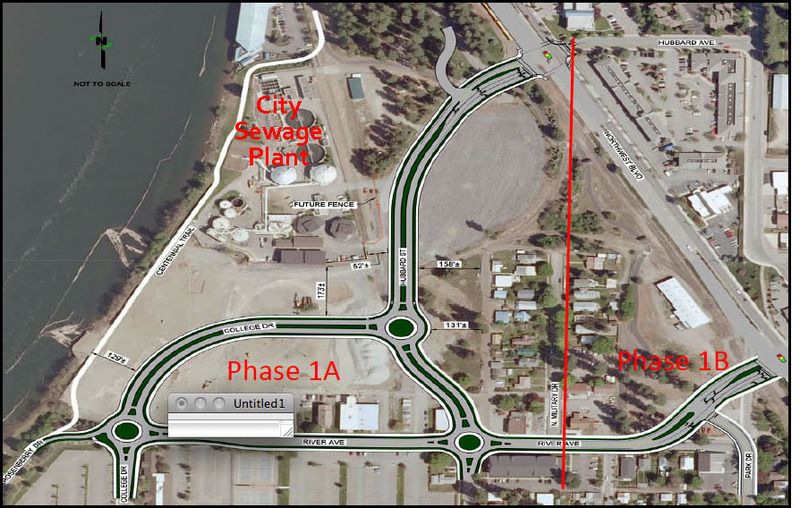 Expansion in Post Falls will also benefit the local economy through job creation and development agreements with area contractors. The Idaho expansion comes just after the launch of several new innovations for Beef 'O' Brady's, including a lively new franchising website that features interactive, user-friendly tools to guide prospective franchise partners through its proven business model and fun, community-oriented brand culture. Also new at Beef 'O' Brady's are fresh Angus Burgers that pack huge flavor and tenderness. Wing lovers have two new dry rubs to cheer about including lemon pepper and Paul Prudhomme's Blackened Seasoning. The new lunch menu, which features a renowned emphasis on variety, quality, speed and value, is increasing lunchtime traffic and loyalty amongst customers on the go. Ironically, despite what its name implies, Beef 'O' Brady's is best known for its Buffalo chicken wings. Originally, the chain's menu featured a variety of items that featured beef and a variety of sandwiches. Later, founder Jim Mellody added his own recipe for Buffalo chicken wings, making the restaurant an even "hotter" place to eat. Beef 'O' Brady's is a national franchise of family sports pubs that achieves its success by building relationships with the local schools, youth sports leagues, and other community organizations in each and every Beef 'O' Brady's neighborhood market. The "kid appeal" of this unique concept is reinforced by a very moderately priced kids menu and video games. Ironically, despite what the name implies, Beef 'O' Brady's is actually best known for its Buffalo-style chicken wings. The company, headquartered in Tampa, Fla. has more than 210 locations in 21 states. Visit http://www.beefobradys.com for more information. Fishman Public Relations specifies in public relations for franchises. Subway has placed their coming soon signs up in the strip mall that houses the State Liquor Store on Prarie Ave. at the corner of Atlas Rd. in Coeur d Alene. Glad to see something going in there as the small strip mall seems to have been slow to fill up but this is the final vacant unit. Trader Joe's new store on the South Hill has been announced as opening Oct 28th, The store has been taking applications in the last few days and I've heard they've already had some good crowds of job-seekers . Hammer's Treasure Chest is a new Thrift Store that opened this week on Seltice Way in Post Falls.They are in between Mountian View Motors and Walgreen's which is on the corner with Idaho St. The North Face has been working on their new retail outlet inside the River Park Square Mall on the first floor and it has announced it will open on Sept. 30th.And in other River Park Square news Coeur d Alene based women's clothing retailer,Vivo has announced they will open a store on the 3rd floor of the mall which will leave just one vacancy in the mall.Vivo should also be noted as experiencing extremely rapid growth starting as 1 store in Downtown Coeur d Alene they now also have stores at Spokane Valley Mall and Northtown Mall and in a recent newspaper article their owner mentioned they have plans for a store in Hayden with a processing center to serve stores they hope to have in the Seattle market in the next few years. Love@First Bite is a new cupcake store that opened recently on Sprague Ave. near University Ave in Spokane Valley. I can personally recommend their store having tried it the other day and is well worth the trip. Much buzz has been going around about all of the service changes to Spokane Transit Routes throughout the Inland Northwest, Hopefully this link helps.The changes we're brought on to save STA money with a cash strapped budget like many other government agencies are in right now. Manito Tap House has opened on Spokane's South Hill at 3011 S Grand Ave,The pub has been in the works for sometime so i'm glad to see it's finally open. Brews on Washington has opened on Washington Ave in downtown Spokane. Although it was announced back in late june it is worth noting that Caterpillar is building a 585,000 square foot building on the West Plains off of Geiger Blvd. and near the Spokane International Airport.The project is huge for Spokane because it means between 100 and 150 new jobs and hopefully shows that Spokane County is business friendly.The construction will start in late summer. Coldwater Creek,the Sandpoint based women's clothing retailer has closed it call center in Parkerburg,Wv. and moved the employees into it's distribution center located on site,The call center on Hanley Ave. in Coeur d Alene will be the only call center and despite the closure Coldwater Creek will not hire on more people to make up for the missing employees however will increase hours for the CdA employees. Wildcat Pizza from Kellogg has opened a restaurant in the Prairie Shopping Center at Prairie and Highway 95 in Hayden they are in the unit next to Temptions. Red Bowl Asian bowls have opened inside Conoco at I-90 exit 11(Northwest Blvd.) and in the Conoco in Athol at Hwy 95 and Hwy 54. Thrifty Car Rental has opened a rental and sales office in Midtown Coeur d Alene directly on 4th St. Snap Fitness is opening in building that is now being built across from Super 1 in Hayden and a couple of doors down from Hwy 95. Tesoro is buying all area Albertson's gas stations and will rebrand them as Tesoro soon. Thin Air Community Radio on KYRS 89.9 and 92.3 in Spokane will be on the air full power soon(presently they are on a low power signal) on 88.1 once all tower construction is done,although the signal on 92.3 will stay on air but 89.9 will not as it's signal is weak due to a Christian Station in Post Falls on the same channel. I just went for a walk thru Downtown Coeur d Alene and noticed something I see every time fall rolls around,several bussiness move out or go up for sale once the tourists start to leave for the season,and what's interesting about this is they seem to almost always get replaced or remodeled once spring gets closer.So far the Icon Bar seems to be closed and has for sale signs in the windows(i'm going to look more into this...) and their sister bar The Beacon is still open but also with the same for sale signs.I know San Fransisco Sourdough Eatery's Sherman Ave. store also has come up for sale but am not sure if it's offically closed yet and the former Kootenai Cafe is still avilable for lease.This is just one of the downsides of living in a resort town I guess and I know next year's tourist season will benefit from these and any more closures yet to come. The new port of entry weigh station on I-90 at State Line is now in use and uses new technology to save the truckers time and bypass the standard scales but also removes the need for the driver to cross thru the exit at State Line to access which I have noticed in the past is a major safety issue and would have become worse once the Appleway bridge re-build is complete. 2 new restaurants will take the place of the former Niko's Wine Bar on Riverside in Downtown Spokane and within the same block as the Spokane Transit Bus Plaza,The restaurants are Rex’s Burgers & Brews and Fraiche Contemporary French. They hope to employ 45 and open in October this year and both are owned by the owners of the popular Scratch restaurant.Also new in the same building(The Peyton Building on N. Post) is the new Cougar Crest Estate Winery tasting room in the former site of Simply Northwest gift shop. Construction and site work has started on the Med School project in the University District and is scheduled to be complete and open for students in 2014. The former Safeway store at 1617 w 3rd Ave. in Spokane is being transformed into a Grocery Outlet and will hire 30 to 40 workers. Jimmy John's Sandwich Shop has now opened in Hayden on Cornerstone Dr. (access road off of Prairie Ave. near Hwy 95) they are the 2nd tenant in the new strip mall which also features Thomas Hammer and will be home Exbablon IT who's sign just went up and will be looking into. Bubba's Smoke Shop has opened in State Line in a building that once was the HQ for Star West Satellite.Some other tenants have also opened for business in the building and some remain for rent. Marshalls will open in the Northtown Mall in the unit the was Nordstrom Rack(which has moved their store to Spokane Valley Mall) .Marshalls is a discount clothing store from the same parent company as TJ Maxx and will employ nearly 100. Coeur d' Alene's KVNI radio(1080 am) has switched from doo wop oldies to ESPN radio,which is an odd move considering 700 AM in Spokane is already ESPN radio which mean the 2 stations in the same market will overlap programming. Personally I don't know why KXLY(the KVNI owners) would do a format switch like this,I would personally think it better the similcast the popular KXLY 920 signal or play the Spokane's River online station signal on 1080,which would bring back Spokane's River for it's former listeners(such as myself). This is an interesting story in regards to the opening of the new BMW carbon fiber plant in Moses Lake,WA.It isn't directly in the Spokane/CdA area but still is a good step for the regional economy. Work has started on the new entry to NIC at Northwest Blvd. and Hubbard Ave. the project will include a new stoplight at the intersection and as of right now traffic is mess with little marking which lanes to be in, hopefully that improves.Otherwise construction continues elsewhere on NIC's campus for the Education Corridor project with new roundabouts in place which I might ad seeing the road so close to Fort Ground Grill and the Jefferies TV building gone completely sure does look different. Expression Dance has moved into their new preforming arts center on Hwy. 41 near Poleline in Post Falls. The north Spokane K-mart along with the attached strip mall will be demolished to make way for a new Lowe's store,K-marts going out of business sales have already started. Maurice's in CdA is moving out of Silver Lake Mall and into Silver Lake Plaza across Canfield from the Mall,This will be a good move for them in my opinion however with Silver Lake Mall already being half dead it will be interesting to watch to see what happens.Personally I think the mall should be torn down and a lifestyle center type development built in it's place but this may be hard since owner General Growth Properties is not exactly in the best place financially. Traditions of Coeur d Alene,Which will be a 4 story 120 unit senior housing complex near Costco is still in the works and the owners are working on securing "alliterative financing". Top This Frozen Yogurt has opened in Post Falls in the same plaza as Dollar Tree near Cecil and Mullan. Burger King is set to be open by Oct 15th in Post Falls in front of the older Wal-mart on Mullan.And they are presently hiring thru the Dept. of Labor office on nearby Thornton Ave.
Progress is being made on the new Trader Joe's store in the Lincoln Heights plaza on Spokane's South Hill neighborhood. Spokane International Airport is said to be looking into developing a on site Gas station/Travel plaza,They have also started to have free wifi(it was a fee service). Although I haven't driven it yet,i'm told the extension of Indiana Ave thru to Flora in the valley is done and in my opinion is great as it will make a much needed way to connect the Valley Mall area with points east such as Liberty Lake,I'm also told a new medical office/clinic building will be built off the new Indiana Ave.
Center Partners Coeur d Alene call center has begun to move into it's new building in Liberty Lake,The building used to house Telect,Inc. It may be sometime out but I hear Northern Quest Casino in Airway Heights may look into a permanent outdoor concert site,presently the popular outdoor concerts are held in temp. structure on a sizable peice of lawn.